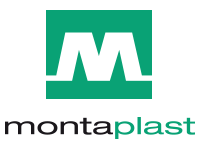 Montaplast is a mid-sized company representing five decades of experience in the production of plastic precision parts and systems - first for household appliances and now for the automobile industry. Learn more by clicking here. The name Stilo comes from the tool used by the Bronze Age to write, to imprint their first thoughts, their first ideas, their first concepts. Today Stilo makes top quality racing helmets for karting, offshore, rally, and auto racing. Learn more by clicking here. Brett King Design is a motorsport oriented brand rooted in racing, art and innovative design. Based in Southern California, the company was established to exceed, outpace, and evolve the design ethic and style in a complacent market. Our mission is to design without compromise for the most discerning drivers in the world. Learn more by clicking here. Eyenovation is a graphic design and interactive development studio in Southern California. The company produces cutting edge solutions for web, print, mobile, and interactive media. Learn more by clicking here.